This week saw the start of a new series on BBC2 about Paris, imaginatively titled “Paris”. 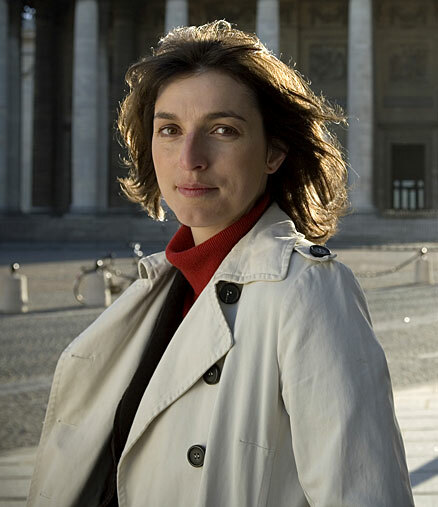 The presenter is an art historian by the name of Sandrine Voillet, who rather endearingly described The Louvre as her “turf”. I’m not sure if there are many gang wars between rival art historians, but it might make for an interesting musical. No? Just me then. I would love to visit the city myself some day, but I’m having trouble with the language. I think it’s common courtesy, not to mention common sense, to learn some of the lingo before you set foot in a foreign country, but sadly the book and CD set I have are aimed at normal people with jobs and families, so I’m finding them a little depressing. “J’ai trente ans… Je ne travaille pas… Je suis celibataire… Laissez-moi tranquille!” There’s also the disincentive that the main source of my Francophilia is cinematic, and the worst place in the world for me to try to watch French films, ironically enough, is France, because they’re extremely unlikely to have handy subtitles up on the screen to help me follow the conversations. The only film I’d be able to understand at this point is one in which the main characters count to thirty and then ask each other their names very slowly over and over again. So, from that POV, I’m better off sitting at home with my DVDs. 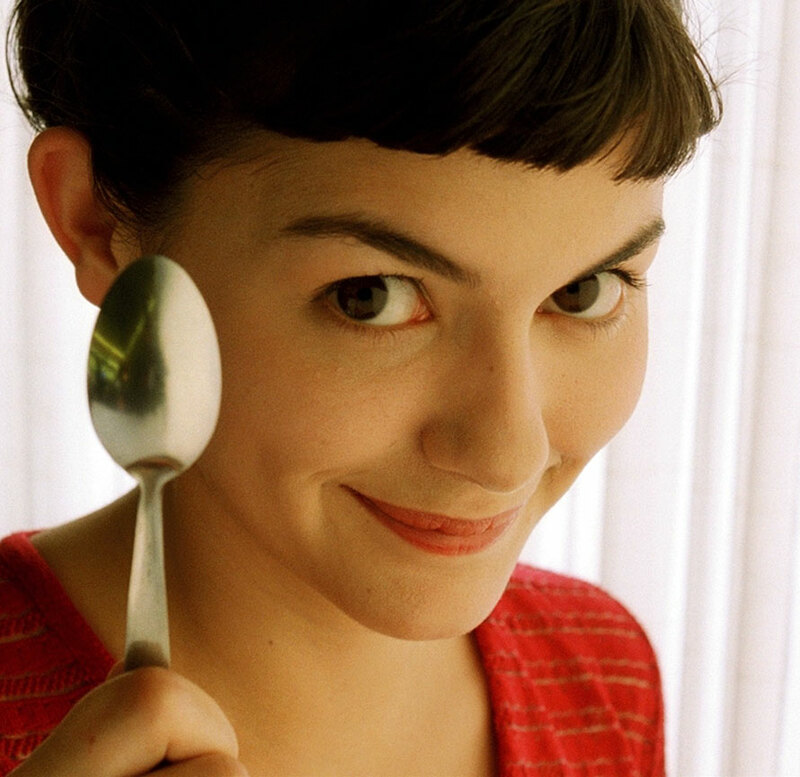 Paris is the setting for my favourite film of all time, Jean-Pierre Jeunet‘s Le Fabuleux Destin d’Amélie Poulain… or Amélie, as it was more succinctly known outside of France. My guide book has warned me that some locals have taken offence to the “Poulainization” of their home city, but the film is a cinematic masterpiece, so poo to them! I’m not an idiot, though. I realise that it was set in a retro-dreamworld which bears as much resemblance to the real city as those Hugh Grant/Richard Curtis rom-coms bear to the England I live in. Aside from anything else, the love interest is played by Mathieu Kassovitz, who directed La Haine, which showed a very different facet of the city. I wouldn’t step off the bus expecting to enter AmélieWorld, but I would daydream my way through the areas where the film was shot… possibly wearing a pair of sepia-tinted sunglasses. Mention of Audrey Tautou naturally bring us to a preconception that we foreigners often have about French, or more specifically Parisian, women…. a preconception which was addressed directly by Voillet, as she sat in a converted-brothel-turned-restaurant. Not all Parisian women, she asserted, are “flirty, pretty and charming”. The problem with this statement was that throughout the course of the programme she was never anything less than “pretty and charming” herself. Even when she was stood in shapeless white overalls, peering down at the torrent of effluent that flows through the city’s sewers, she came dangerously close to being enchanting. If she’d really wanted to prove her point, she should have spent more time introducing us to random ugly and obnoxious passers-by, and less time being so darn adorable. Nevertheless, it’s a fact that some of the French films which have distinguished themselves the most in my mind, such as Anatomy of Hell, In My Skin and He Loves Me, He Loves Me Not, were the work of women, and none of these pieces could possibly be described as “flirty”. They are serious, searing, intimidating and intelligent, and can only lead one to assume that the same is true of the artists who created them. Hopefully, with their example in mind, I would approach Paris with a more open and enlightened mind… albeit it one plagued with images of blood and sharp pointy things! So far the programme hasn’t touched on cinema at all, although the introduction suggested that future episodes would. Since it is tied so closely to my affections, I hope it is given more screen-time than cakes and prostitution were, but I shouldn’t get my hopes up that any of idols will be interviewed. This entry was posted in Rants about Films, Rants about TV and tagged Amélie, Anatomie de l'enfer, Anatomy of Hell, Audrey Tautou, À la folie... pas du tout, Dans ma peau, He Loves Me He Loves Me Not, In My Skin, Jean-Pierre Jeunet, La Haine, Le Fabuleux Destin d'Amélie Poulain, Marina de Van, Mathieu Kassovitz, Paris, Sandrine Voillet. Bookmark the permalink.